Los Muertos Beach, perhaps the most popular beach in Puerto Vallarta, bustles with beachgoers, vendors, and fishermen throughout the day, from morning walkers to late-night partiers. Here, the sunlight bounces off the gentle waves and warms the soft sands throughout the year. 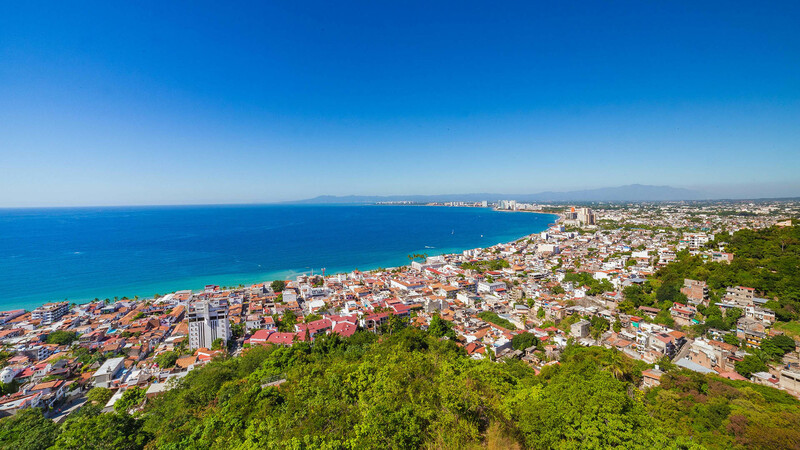 Located in the heart of downtown, this is one of the most accessible Puerto Vallarta beaches, especially since all the blue busses pass by here bringing tourists from throughout the city to enjoy the unique energy of Los Muertos. If you're familiar with Spanish, the name Playa de Los Muertos may strike you as peculiar the beach of the dead. 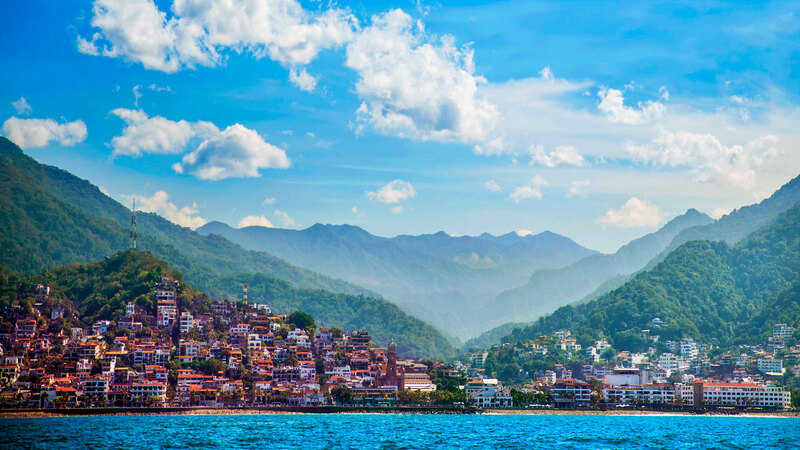 No one knows for sure how Los Muertos Beach Puerto Vallarta got its name, but there are a few legends locals like to tell. 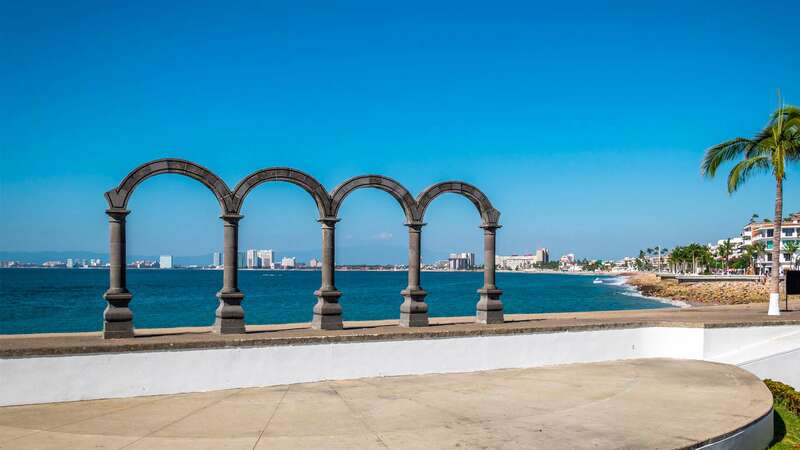 The more riveting stories go back in Puerto Vallarta’s history to pirates fighting on the shores and searching for buried treasure on the Puerto Vallarta beaches. The more realistic story is that there was once a cemetery near the beach, but the graves have long been moved to the historic cemetery in the Cinco de Diciembre neighborhood. 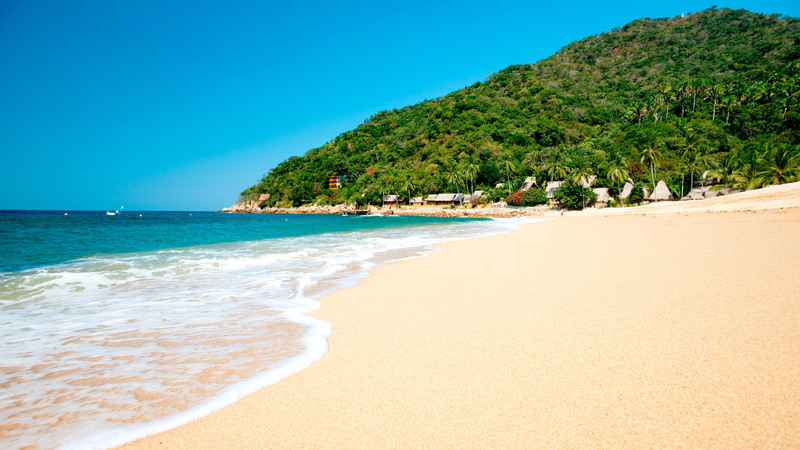 Despite the sinister sounding name, you’ll find lots of life and play along one of the best beaches in Puerto Vallarta for families. Kids and adults alike will laugh and cut loose with all the activities offered along Los Muertos Beach Puerto Vallarta. 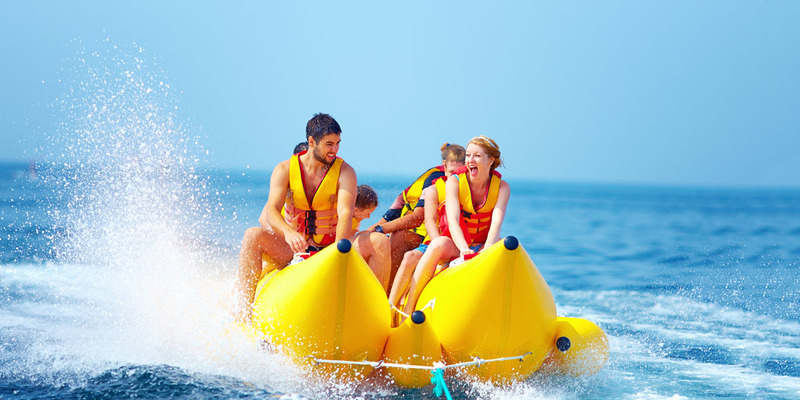 Hop aboard the banana boat to fly over the waves behind a ski boat with your family and other visitors, or soar above it all for a bird’s eye view of the bay below a colorful parasail. 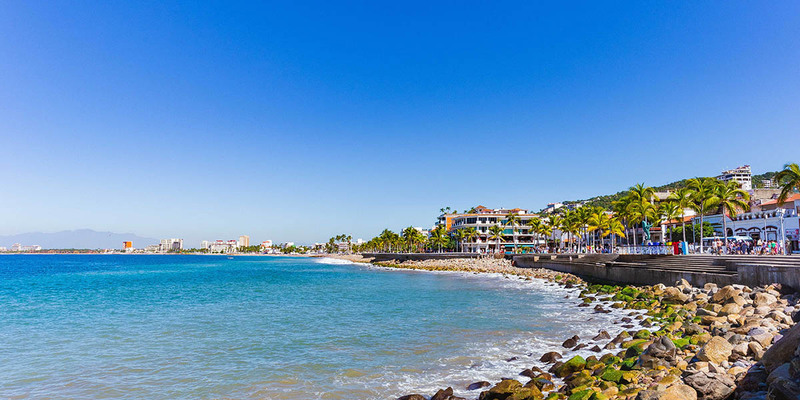 Along this popular beach in Puerto Vallarta, vendors will rent you jet skis, kayaks, and paddleboards so that you can have an exciting beach day while trying something new. Of course, the beach is always perfect for laying out and lounging with a good book, music, or a cold drink. 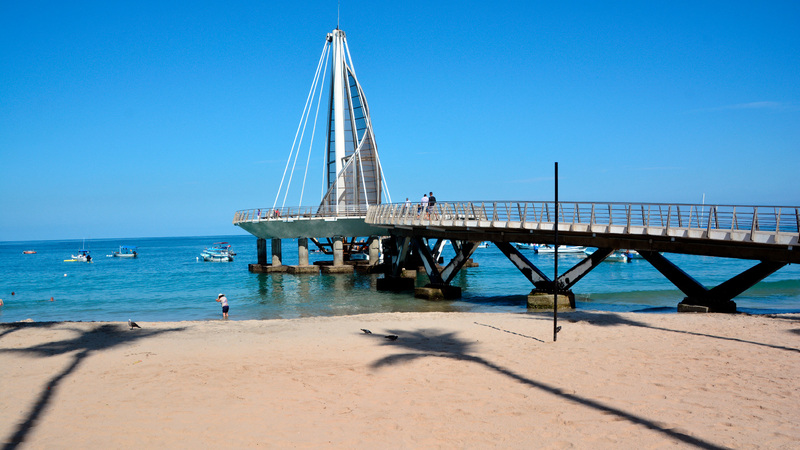 To stretch your legs, take a walk along the best beaches in Puerto Vallarta on the Malecon boardwalk. This boardwalk runs along the shore from the pier on Los Muertos Beach to the north for about a mile. The path is dotted with larger than life statues that depict mermaids, sea creatures, and dancers. 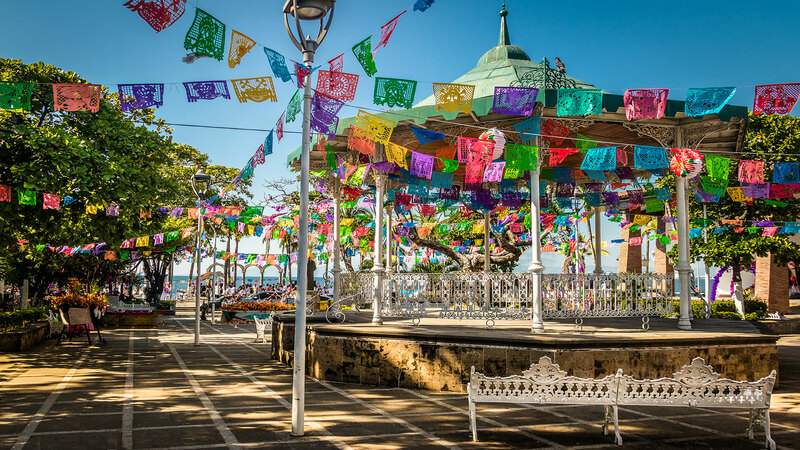 Snap photos of the jaw-dropping artwork and Puerto Vallarta beaches, and check out the shops and markets that sell bright Mexican clothing, jewelry, and a variety of treasures and souvenirs. 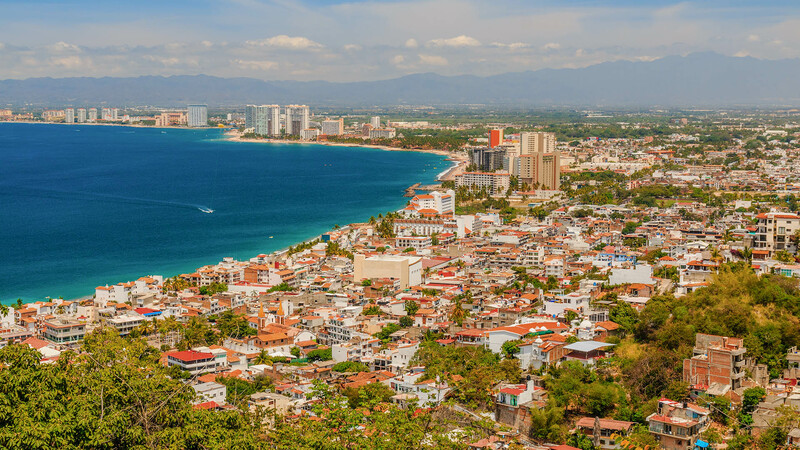 The whole way, you’ll have a panoramic view of the best beaches in Puerto Vallarta. In the morning, you can watch the sunrise behind the mountains as the city awakens, and at sunset, you can stroll along under the lights as vendors sell hot street food with the sound of live music pouring out of bars and from performers along the Malecon. 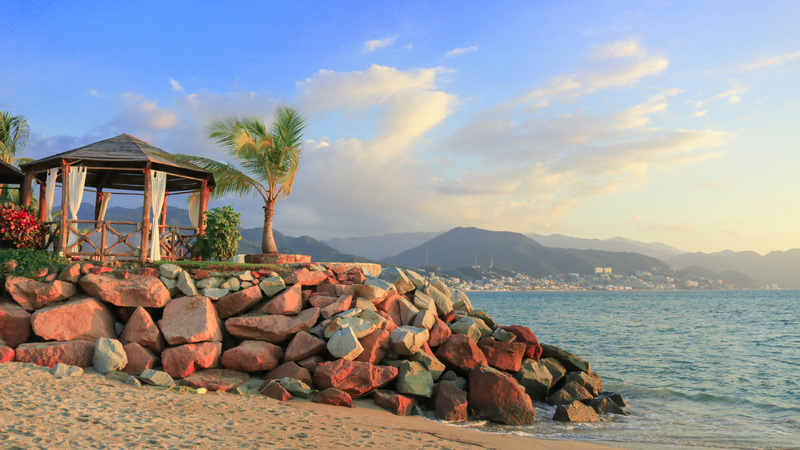 If your appetite starts to grow after spending the day at the beach, you’re in luck because Los Muertos Beach Puerto Vallarta is located in front of delicious restaurants serving a variety of cuisine. Along the shore, freshly caught fish sizzles on the grill and the tacos are served hot. A few steps away, you can sample locally crafted beers at the appropriately named Los Muertos Brewing. Follow the locals to Joe Jack's Fish Shack or Fajita Republic for seafood and classic Mexican dishes. 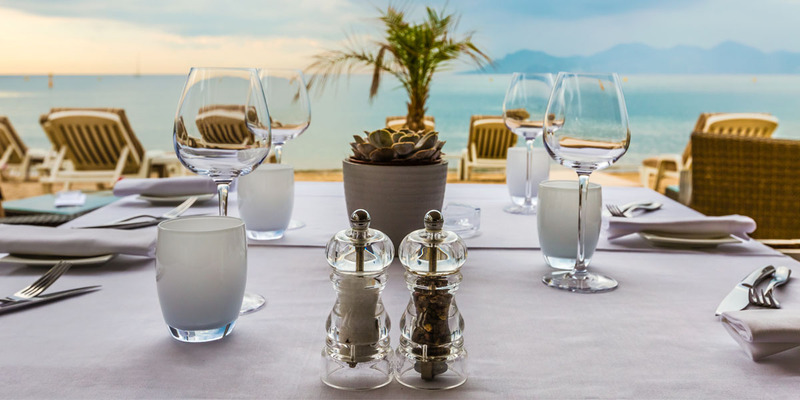 If you’re looking for more upscale dining, wander along Basilio Badillo street to check out menus at romantic restaurants like Di Vino Dante or Da Simone. Soak up the sun and energy of the most popular beach in Puerto Vallarta in the heart of downtown at Los Muertos. Whether you get there by bus or by walking along the Malecon, you’ll find life pulsing as you ride along the waves, lounge with a drink, or explore the area. 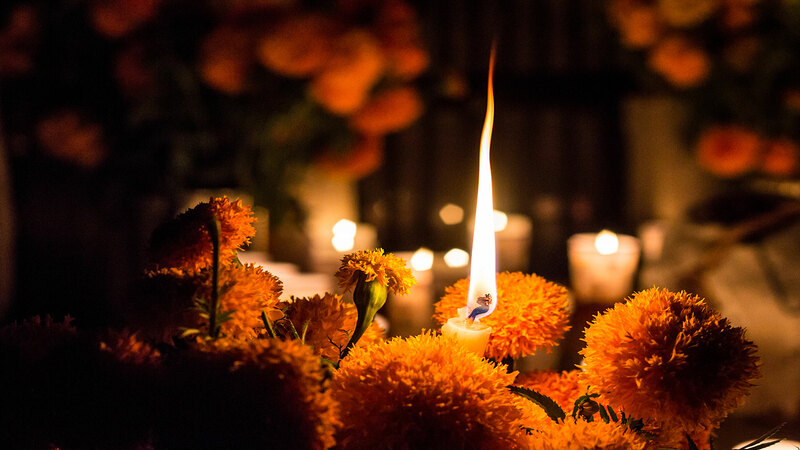 When it comes to a classic beach day in Puerto Vallarta, Los Muertos is the place to be.